As a footballer, the former Monaco man has definitely regressed as a defender over a season or so. Despite playing as a full back, Evra created more chances in the Premier League last season, than any other Bianconeri winger did in the Serie A last season. He has also shown no signs of fitness issues as he has featured in over fifty games for both club and country over the last one year. The 33-year-old defender can play as a full back and as a wing back down the left channel. 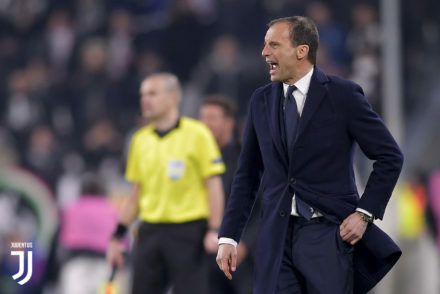 He offers Allegri the flexibility to suitably shift from a three man defence to a four man defence at any point of time. The French international has a wealth of continental experience to offer to us along with a winning mentality. While his attacking attributes are to be admired, his defensive characteristics definitely fall under scrutiny. However, over the last two seasons he has received very little defensive help from his former Manchester United team mates, something that he is going to receive in abundance from his current team mates. My problem with Evra’s acquisition is on the business end of matters. We spent a fairly large amount not only on his transfer but also on his wages. As of today, he earns more than the likes of Claudio Marchisio, Andrea Barzagli and even Giorgio Chiellini. Marrone returned to Turin for his second spell from Sassuolo. Despite missing most of the last season for Neroverdi, he still managed to notch fifteen appearances. He can play as a center midfielder as well as a center back. Not reinforcing the central defense in the summer has strongly suggested that we will get to see Marrone step in at the back during suspensions or injuries to key players. Giuseppe Marotta cited the improvements in the play of the 24-year-old as a reason for the club not to pursue defensive reinforcements in the summer. In the 2012-2013 season, Marrone featured in ten games which resulted in nine victories for us and one draw. 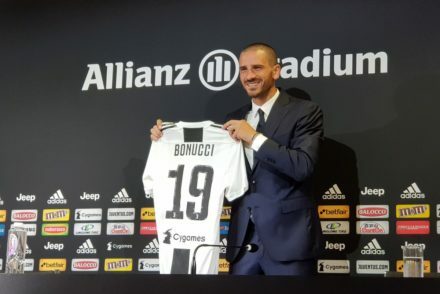 It was his first season in a Bianconeri jersey, he also averaged close to fifty passes per game at a passing accuracy of close to 92 per cent. He definitely has a lot to contribute for us as the season evolves. However, I am not so convinced that we needed to spend €5 million on Marrone to secure half of his stake. I don’t think signing him was a necessity this season. We might have invested the same in a better defender or used it to bolster other areas of the team. One of the best summer arrivals of the transfer window. Romulo is a fabulous acquisition for us considering the fee involved in the deal. He notched thirty two appearances for Hellas Verona as he helped them finish in the top half of the table. The Brazilian born player scored six goals in addition to the seven assists he made in the Serie A last season with only Borja Valero and Ricardo Alvarez making more assists than him among the midfielders. He also created fifty four chances for the Gialloblu in the league last season that earned him a call up to Azzurri’s preliminary squad for the World Cup. The 27-year-old midfielder is a great incentive to us because of his versatility. He can operate anywhere on the right flank and in the center of midfield. He will mostly play as second fiddle to Stephan Lichtsteiner but he will also feature from time to time in a more central role. Lichtsteiner was often used in the league prior to an important European game. The inefficiency of the likes of Mauricio Isla or Simone Padoin dampened Lichtsteiner’s chance to be rested for more important games. In case Lichtsteiner gets injured or suspended, we can be fully assured of Romulo to take his position in the team. Overall, this is a fabulous capture for me. With Lichtsteiner already 30, Romulo can also turn out to be useful to us two years from now. This is an intriguing signing. 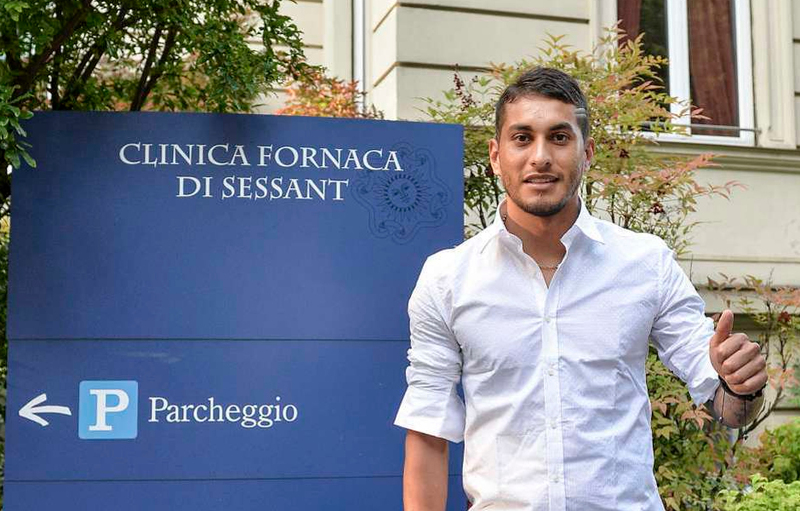 Touted widely as the “nuovo Camoranesi”, Pereyra becomes yet another one of a long list of additions from Udinese. Mauro Camoranesi himself claimed that people in Argentina think highly of Pereyra while his former Zebrette captain Antonio Di Natale said that he could be the next Alexis Sanchez. Pereyra created a total of fifty seven chances and made six assists apart from scoring two goals in his thirty six appearances for the Udine-based side in the Serie A last season. The 23-year-old midfielder can be useful considering his versatility. He can operate anywhere on the flanks or at the center of midfield. He can also play as an attacking midfielder where he flourished the most for Udinese in the last season. He can be an asset to us as a backup plan to break down opponents. Allegri has asked him to be present in the box more often and score more goals as a result. He will mostly feature as a backup to one of our crown jewels in the center of midfield or behind the strikers. Overall, a good acquisition for this season. Low fees involved in the deal temporarily but could substantially rise in case we decide to redeem him. In that case, we will just have to wait and see how good he turns out to be and whether he deserves a €15m price tag after a year. Sturaro was acquired from Genoa in order to satisfy certain sporting objectives for the future and immediately loaned back for the whole season. While he is very young, he made his debut against Inter after being integrated into the senior team. He was able to make sixteen appearances for the Rossoblu last season scoring one goal as they finished in the bottom half of the table. He has also represented la Nazionale in the under-21 level. The 21-year-old played for eight two minutes in Genoa’s late loss at home against Napoli. This is one deal I fail to understand. We basically invested €5.5 million on a player who will be of no benefit to us for this season. Whether or not he improves in the future is another matter at hand, but with the fee involved to acquire Sturaro, this is a poor acquisition for this mercato. The steal of the transfer window. Coman was signed from Paris Saint-Germain on a free transfer after his contract had run out in this summer. He came to spotlight in UEFA’s 2012-2013 Next Gen Series scoring two goals in seven games. He also scored a goal against us in the process earning his side a draw and helped his side top our group before they were eliminated by Tottenham Hotspur in the round of sixteen. He spent a total of ten years with the Parisan club joining them in 2002. Apart from growing through the ranks at PSG, he has also represented France from the under-16 to the under-21 level. The 18-year-old not only adds depth to our attack but a lot of pace and energy that was missing in the previous seasons. He can play on the flanks or at the center of the attack. He can also play as a trequartista, behind the strikers. After starting in his first competitive game for us against Chievo Verona on game week 1, he delivered a strong performance and was the man of the match. In the process, Coman is now the youngest non-Italian player to ever debut for us in the Serie A (18 years, 2 months & 17 days old). In short, Coman is a magnificent addition to the squad by Marotta and Fabio Paratici. Considering the overall amount involved in his acquisition, he could well turn out to be the best summer arrival in the Serie A. One of our best signings in this summer window. Morata was acquired from Real Madrid after being linked to us since the beginning of May. When Carlo Ancelotti brings a young attacker on in the final of the Champions League to replace Karim Benzema with the sole intention of getting a goal, it is evident that the young attacker is massively talented. Arguably the best player in Spain’s under-21 European Championship victory over Italy, Morata has grown through the ranks of La Roja and Los Blancos at every youth level. 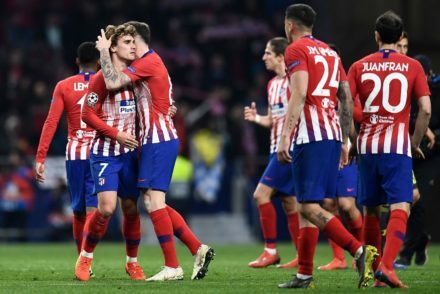 Touted by Conte and Alessandro Del Piero to become one of the best strikers in the world, Morata averaged the most number of goals every ninety minutes in the La Liga last season as he beat every attacker that played a minimum of nineteen games, including Cristiano Ronaldo and Lionel Messi. Morata is a deadly poacher. Seven of the eight goals that he scored in Spain’s top flight division last season came inside the box. He can play on the flanks as well but he is not very effective. He is a perfect number nine who will definitely challenge Fernando Llorente for his starting position as the season goes on. He can be a reliable option on the bench in matches when we are struggling to find the net.